The city of Orlando on Thursday released dozens more of the 911 calls its dispatchers received during the Pulse nightclub shooting as media groups keep fighting in court to make them public. City officials released more than a dozen files of calls made to police and more than six dozen files of calls to the fire department. Since the massacre in June, the city sought to block about two dozen media groups including The Associated Press from obtaining the government records. Until Thursday, the city had released about 30 of the more than 600 calls made to dispatchers during the three-hour standoff with gunman Omar Mateen. Forty-nine club-goers were killed and another 53 were seriously injured in the worst mass shooting in modern U.S. history. 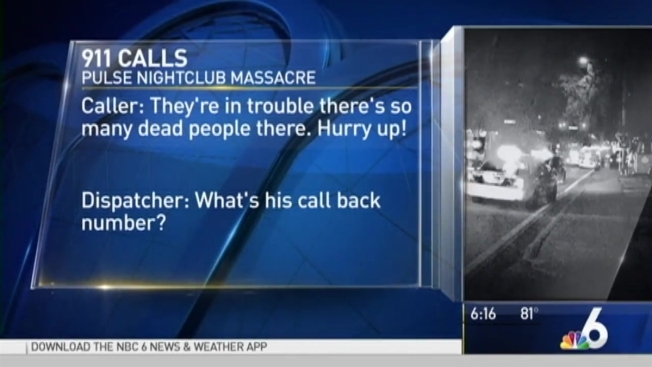 Many of the police calls released Thursday show reporters calling the dispatchers for information about what is happening inside the club. One call to a police dispatcher came from an Orange County Sheriff's Office worker who was trying to connect the sheriff's bomb squad unit with the Orlando police's SWAT team commander. At one point in the standoff, police officials mistakenly believed Mateen had explosives. Many of the fire department calls deal with the logistics of sending paramedics to secured, triage areas outside the nightclub and getting wounded victims to a nearby hospital. The city is still requesting that scores of calls not be released under an exemption that prohibits depictions of death from being made public. The city also wants to keep calls between Mateen and the police department's crisis negotiation team from being released. A hearing on the continuing legal fight will be held Friday. The media groups say the 911 calls are public records under Florida law and their release could help the public evaluate police response to the massacre. The city initially said that the FBI insisted their release could disrupt the investigation. But earlier this month, the FBI said withholding the records was no longer necessary. The Orange County Sheriff's Office, which assisted the Orlando police in the response to the nightclub, on Wednesday released the last of its Pulse 911 calls, including calls that for the first time came from patrons trapped inside Pulse.